Almost one in five people do not floss at all. If flossing isn’t important, why then do dentists recommend it? American Dental Association (ADA) recommends that you floss, at least, once a day. There are some tight spaces between your teeth where a toothbrush can’t reach. It doesn’t matter if you are using a manual or electric toothbrush, you can’t get to these tight spaces. It’s easy for food debris to stay stuck to tight spaces between your teeth. After they’ve been stuck there for a few days, they turn into dental plaque. Dental plaques are those sticky films that coat the teeth. Dental plaque contains bacteria. Dental plaque can lead to serious gum disease and even tooth decay. That’s why you need to floss daily. Allow me to explain these two methods further. Waterpik vs. Flossing: Which is easy and convenient? Waterpik vs. Flossing: Which one is more effective? Which one is better for people who wear braces? You can simply call it “flossing.” I call it traditional flossing here because it’s been the way people floss for hundreds of years. Traditional flossing is the normal way of flossing. This is a flossing process where you use a thin piece of string that can get between your teeth and scrapes any food debris that may be stuck there. These food particles can’t get out between the teeth by themselves. So, a thin string could get them out before they develop into dental plaque. This method isn’t complicated. You can buy dental floss for traditional flossing at pharmacies and grocery stores. Water picking, or water flossing is different from traditional flossing. Water flossing is a process of using a special machine that directs a stream of water with force into the gums to remove food particles that may be stuck between the teeth. This special machine is called water flosser. Water flossers generate so much pressure. The pressure of the water massages the gum lines and push out food particles from the teeth. The beauty of water flossers is the pressure they generate. Instead of putting a thin piece of string between the teeth, water flossers use their pressure to water down any particle in between the teeth. Waterpik is a brand that manufactures water flossers. The company was founded in 1962. Why do I recommend flossers from Waterpik in this review? 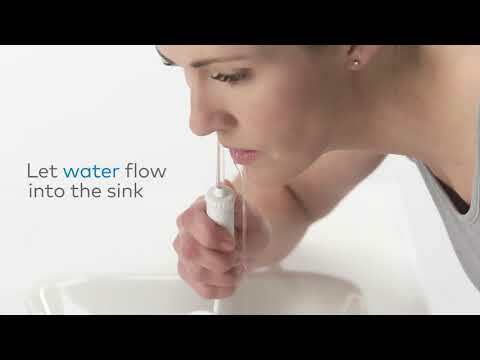 Waterpik creates the best water flossers in the world. Lots of dentists recommend their flossers. I also like the company, Water Pik, Inc. The brand is a leader in developing and manufacturing innovative personal and oral health care products. They have acquired over 500 patents in the oral space alone. For over ten years now, I’ve been using Waterpik Water Flosser and their product have never disappointed me. I’ve bought a lot of their flossers as gifts for members of my family and friends. That should tell you how much I like the brand. There’re different water flosser models from Waterpik. But the purpose of this article isn’t to talk about them. 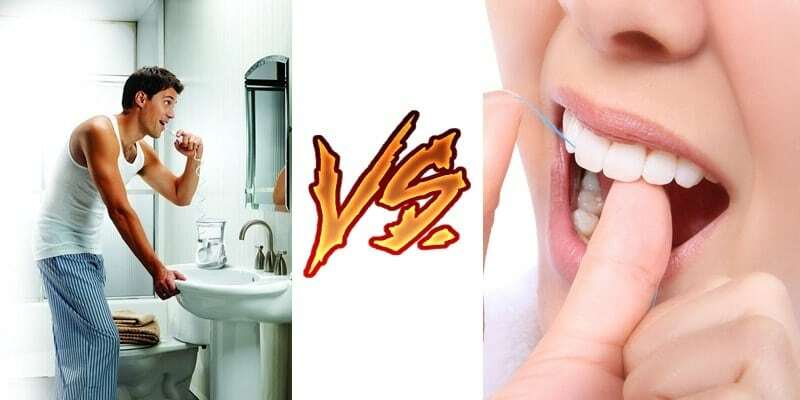 The purpose of this article is to tell you which one is better between traditional flossing and water flossing, and why? Before we start comparing traditional flossing and water flossing, we should, at least, know how they work, and how each feel like in the mouth and gums. Because there are different types of traditional flossing products out there, the exact way you floss depends on the product you use and the gaps in your teeth. Having said that, I’ll explain to you, in simple terms, the most common traditional flossing method. 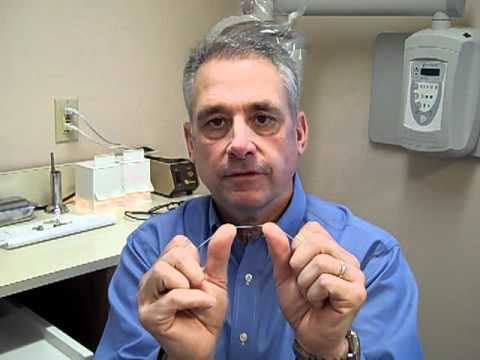 And here’s a video on how to floss by Dr. Carlos Meulener, a respected dentist in New Jersey, USA. Waterpik water flossers are the best. They are easy to use, and their cool design makes them attractive in the bathroom. Seeing a Waterpik water flosser each day reminds you of flossing. So, how do you use a Waterpik water flosser? Here’s a video on how to use Waterpik Water Flosser from the brand itself. Now that you know how to floss the traditional way and use Waterpik Water Flosser, let’s look at the pros and cons of these two great ways of flossing. We should start with the traditional flossing method first. Countertop has big reservoirs that contain enough water for a single floss. It isn’t portable though. That means you can’t carry them around if you travel a lot. Cordless has smaller reservoirs enough for a quick floss. It is portable. Countertops offer the best benefits of water flossing. As someone who’s been flossing for over ten years now, I can tell you that both are easy. You can get used to water flossing starting from the first day you buy a Waterpik Water Flosser. But, it will take some time to get used to traditional flossing due to the time it requires, and the techniques involved. I’ve been lucky enough to have met some people when they started traditional flossing. They complained about it. They said it makes them bleed. But when I see them some weeks later, they tell me they’ve gotten used to it. They even recommend flossing to others. Waterpik is very easy to use. All you have to do is read the manual that comes with the machine. Follow the instruction, and you’ll be good at it. No need to make several mistakes before you get comfortable with it. Waterpik is more convenient for busy people who take their morning bath very fast and comes home late in the night. I’ll recommend that they get a Waterpik Water Flosser. Note that it doesn’t mean traditional flossing isn’t easy or convenient. It’s just that it requires more time and patience. Hence, the reason some people think it’s not easy to use and convenient for them. The truth is that it’s difficult for me to say one is better than the other. I’m great at both traditional flossing and using Waterpik flosser. They are both cool when you get used to them. As I stated in its cons above, Waterpik doesn’t remove all particles at once. There’s also no way for you to confirm that some particles are still there. The pressure this wonderful machine generates is cool. But some food debris can be very hard to remove. I once had a food particle that felt like it created the space for itself. I felt my tooth shifted for it to be there. There’s no amount of water pressure that could flush it out. I had to do traditional flossing to remove the particle. For Waterpik flossing to be effective, you may have to do it twice a day. That increases the time you spend in the bathroom before or after brushing your teeth. Based on my experience with both methods of flossing, water flosser and traditional flossing are equally effective. I don’t recommend that you use both at the same time, but it’ll be cool if you can have both at home. When you feel that something is stuck between your teeth and the water flosser can’t remove it, you can turn to the traditional flossing method for help. It isn’t easy to floss the traditional way when you’re wearing braces. And if there’s a time you should floss more, it should be when you wear braces. Foods can become stuck in those braces and strings can’t really get past those braces. So, the best flossing option will be water flossing. Waterpik is without a doubt, the best for people with braces. Water flossing will flush out any food particle under your braces and in between your teeth. Water flossers keep your teeth and gums healthy when you’re wearing braces. They are just the best solution. So, I recommend them to people with braces. Brace wearers may have to floss twice a day for water flossing to be effective for them. Waterpik vs. flossing is an ongoing debate. I think it’s all down to preferences. After flossing with both for many years, Waterpik and traditional flossing have their pros and cons. But I also believe that using a Waterpik Water Flosser to floss is easier than traditional flossing. For people who are struggling to make flossing a habit, they’ll find it easier to floss with Waterpik. It’s very easy to build up the flossing habit when you do water flossing. Traditional flossing is extremely difficult to keep up with when you’re trying to make flossing a habit. I think that’s what gives Waterpik Water Flosser a big edge over traditional flossing. And if you want to make flossing a habit, I strongly recommend that you buy one today. Check my review on the best Waterpik Water Flosser.